Strained Connections in 'Unaccustomed Earth' Jhumpa Lahiri offers a new collection of stories exploring the rich terrain of Bengali-American life. The book is the third from the Pulitzer Prize winner. Book Tour is a Web feature and podcast. Each week, we present leading authors of fiction and nonfiction as they read from and discuss their work. Jhumpa Lahiri won a Pulitzer Prize for her first effort, the short story collection Interpreter of Maladies. Her second work, the best-selling novel The Namesake, was adapted into a Hollywood movie directed by Mira Nair. 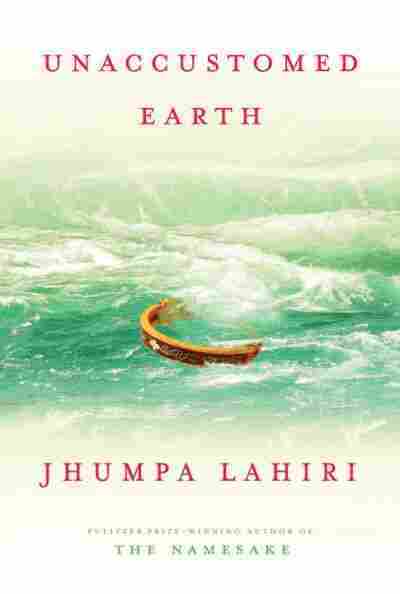 For her third book, Unaccustomed Earth, Lahiri has returned to the short story form. Once again, she expertly plumbs the Bengali-American experience, following immigrants and their offspring while traversing borders and expectations. Upon publication, the book debuted at the top of The New York Times best-seller list. Dwight Garner, senior editor of The Times' Book Review section, wrote in his blog: "It's hard to remember the last genuinely serious, well-written work of fiction — particularly a book of stories — that leapt straight to No. 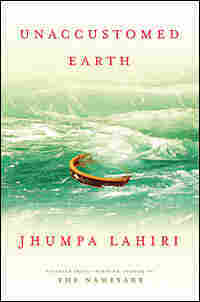 1; it's a powerful demonstration of Lahiri's newfound commercial clout." The collection of eight stories takes its title from a passage from Nathanial Hawthorne's introduction to The Scarlet Letter: "Human nature will not flourish, any more than a potato, if it be planted and replanted, for too long a series of generations, in the same worn-out soil. My children ... shall strike their roots in unaccustomed earth." In an interview with NPR's All Things Considered, Lahiri said that when she read those words, she stopped. "I just thought about how much they stand for everything that I had been writing about: the experience of being transplanted, and people being transplanted." Born in London and raised in Rhode Island, the author of Indian descent traveled regularly to Calcutta while growing up. Lahiri has written about the pressure she felt to stay loyal to the old world while being fluent in the new. That tension both fuels and graces her stories. This reading of Unaccustomed Earth took place in April 2008 at the Sixth & I Historic Synagogue in Washington, D.C.
After her mother's death, Ruma's father retired from the pharmaceutical company where he had worked for many decades and began traveling in Europe, a continent he'd never seen. In the past year he had visited France, Holland, and most recently Italy. They were package tours, traveling in the company of strangers, riding by bus through the countryside, each meal and museum and hotel prearranged. He was gone for two, three, sometimes four weeks at a time. When he was away Ruma did not hear from him. Each time, she kept the printout of his flight information behind a magnet on the door of the refrigerator, and on the days he was scheduled to fly she watched the news, to make sure there hadn't been a plane crash anywhere in the world. Occasionally a postcard would arrive in Seattle, where Ruma and Adam and their son Akash lived. The postcards showed the facades of churches, stone fountains, crowded piazzas, terra-cotta rooftops mellowed by late afternoon sun. Nearly fifteen years had passed since Ruma's only European adventure, a month-long EuroRail holiday she'd taken with two girlfriends after college, with money saved up from her salary as a para- legal. She'd slept in shabby pensions, practicing a frugality that was foreign to her at this stage of her life, buying nothing but variations of the same postcards her father sent now. Her father wrote succinct, impersonal accounts of the things he had seen and done: "Yesterday the Uffizi Gallery. Today a walk to the other side of the Arno. A trip to Siena scheduled tomorrow." Occasionally there was a sentence about the weather. But there was never a sense of her father's presence in those places. Ruma was reminded of the telegrams her parents used to send to their relatives long ago, after visiting Calcutta and safely arriving back in Pennsylvania. The postcards were the first pieces of mail Ruma had received from her father. In her thirty-eight years he'd never had any reason to write to her. It was a one-sided correspondence; his trips were brief enough so that there was no time for Ruma to write back, and besides, he was not in a position to receive mail on his end. Her father's penmanship was small, precise, slightly feminine; her mother's had been a jumble of capital and lowercase, as though she'd learned to make only one version of each letter. The cards were addressed to Ruma; her father never included Adam's name, or mentioned Akash. It was only in his closing that he acknowledged any personal connection between them. "Be happy, love Baba," he signed them, as if the attainment of happiness were as simple as that. In August her father would be going away again, to Prague. But first he was coming to spend a week with Ruma and see the house she and Adam had bought on the Eastside of Seattle. They'd moved from Brooklyn in the spring, for Adam's job. It was her father who suggested the visit, calling Ruma as she was making dinner in her new kitchen, surprising her. After her mother's death it was Ruma who assumed the duty of speaking to her father every evening, asking how his day had gone. The calls were less frequent now, normally once a week on Sunday afternoons. "You're always welcome here, Baba," she'd told her father on the phone. "You know you don't have to ask." Her mother would not have asked. "We're coming to see you in July," she would have informed Ruma, the plane tickets already in hand. There had been a time in her life when such presumptuousness would have angered Ruma. She missed it now. Adam would be away that week, on another business trip. He worked for a hedge fund and since the move had yet to spend two consecutive weeks at home. Tagging along with him wasn't an option. He never went anywhere interesting—usually towns in the Northwest or Canada where there was nothing special for her and Akash to do. In a few months, Adam assured her, the trips would diminish. He hated stranding Ruma with Akash so often, he said, especially now that she was pregnant again. He encouraged her to hire a babysitter, even a live-in if that would be helpful. But Ruma knew no one in Seattle, and the prospect of finding someone to care for her child in a strange place seemed more daunting than looking after him on her own. It was just a matter of getting through the summer—in September, Akash would start at a preschool. Besides, Ruma wasn't working and couldn't justify paying for something she now had the freedom to do. In New York, after Akash was born, she'd negotiated a part-time schedule at her law firm, spending Thursdays and Fridays at home in Park Slope, and this had seemed like the perfect balance. The firm had been tolerant at first, but it had not been so easy, dealing with her mother's death just as an important case was about to go to trial. She had died on the operating table, of heart failure; anesthesia for routine gallstone surgery had triggered anaphylactic shock. After the two weeks Ruma received for bereavement, she couldn't face going back. Overseeing her clients' futures, preparing their wills and refinancing their mortgages, felt ridiculous to her, and all she wanted was to stay home with Akash, not just Thursdays and Fridays but every day. And then, miraculously, Adam's new job came through, with a salary generous enough for her to give notice. It was the house that was her work now: leafing through the piles of catalogues that came in the mail, marking them with Post-its, ordering sheets covered with dragons for Akash's room. "Perfect," Adam said, when Ruma told him about her father's visit. "He'll be able to help you out while I'm gone." But Ruma disagreed. It was her mother who would have been the helpful one, taking over the kitchen, singing songs to Akash and teaching him Bengali nursery rhymes, throwing loads of laundry into the machine. Ruma had never spent a week alone with her father. When her parents visited her in Brooklyn, after Akash was born, her father claimed an armchair in the living room, quietly combing through the Times, occasionally tucking a finger under the baby's chin but behaving as if he were waiting for the time to pass. Her father lived alone now, made his own meals. She could not picture his surroundings when they spoke on the phone. He'd moved into a one-bedroom condominium in a part of Pennsylvania Ruma did not know well. He had pared down his possessions and sold the house where Ruma and her younger brother Romi had spent their childhood, informing them only after he and the buyer went into contract. It hadn't made a difference to Romi, who'd been living in New Zealand for the past two years, working on the crew of a German documentary filmmaker. Ruma knew that the house, with the rooms her mother had decorated and the bed in which she liked to sit up doing crossword puzzles and the stove on which she'd cooked, was too big for her father now. Still, the news had been shocking, wiping out her mother's presence just as the surgeon had. She knew her father did not need taking care of, and yet this very fact caused her to feel guilty; in India, there would have been no question of his not moving in with her. Her father had never mentioned the possibility, and after her mother's death it hadn't been feasible; their old apartment was too small. But in Seattle there were rooms to spare, rooms that stood empty and without purpose. Ruma feared that her father would become a responsibility, an added demand, continuously present in a way she was no longer used to. It would mean an end to the family she'd created on her own: herself and Adam and Akash, and the second child that would come in January, conceived just before the move. She couldn't imagine tending to her father as her mother had, serving the meals her mother used to prepare. Still, not offering him a place in her home made her feel worse. It was a dilemma Adam didn't understand. Whenever she brought up the issue, he pointed out the obvious, that she already had a small child to care for, another on the way. He reminded her that her father was in good health for his age, content where he was. But he didn't object to the idea of her father living with them. His willingness was meant kindly, generously, an example of why she loved Adam, and yet it worried her. Did it not make a difference to him? She knew he was trying to help, but at the same time she sensed that his patience was wearing thin. By allowing her to leave her job, splurging on a beautiful house, agreeing to having a second baby, Adam was doing everything in his power to make Ruma happy. But nothing was making her happy; recently, in the course of conversation, he'd pointed that out, too. How freeing it was, these days, to travel alone, with only a single suitcase to check. He had never visited the Pacific Northwest, never appreciated the staggering breadth of his adopted land. He had flown across America only once before, the time his wife booked tickets to Calcutta on Royal Thai Airlines, via Los Angeles, rather than traveling east as they normally did. That journey was endless, four seats, he still remembered, among the smokers at the very back of the plane. None of them had the energy to visit any sights in Bangkok during their layover, sleeping instead in the hotel provided by the airline. His wife, who had been most excited to see the Floating Market, slept even through dinner, for he remembered a meal in the hotel with only Romi and Ruma, in a solarium overlooking a garden, tasting the spiciest food he'd ever had in his life as mosquitoes swarmed angrily behind his children's faces. No matter how they went, those trips to India were always epic, and he still recalled the anxiety they provoked in him, having to pack so much luggage and getting it all to the airport, keeping documents in order and ferrying his family safely so many thousands of miles. But his wife had lived for these journeys, and until both his parents died, a part of him lived for them, too. And so they'd gone in spite of the expense, in spite of the sadness and shame he felt each time he returned to Calcutta, in spite of the fact that the older his children grew, the less they wanted to go. Excerpted from Unaccustomed Earth by Jhumpa Lahiri Copyright © 2008 by Jhumpa Lahiri. Excerpted by permission of Knopf, a division of Random House, Inc. All rights reserved. No part of this excerpt may be reproduced or reprinted without permission in writing from the publisher.